Pull up a chair and have some cake! I hope all the Mothers out there had a lovely Mother’s Day; whether you be Mum to a human or a furbaby! We took advantage of the gorgeous sunshine and had a barbecue in the garden. Steak (perfectly marinated by my Dad), sausages and salads. For dessert, I made a chocolate cake filled with Chiver’s English strawberry jam and freshly whipped cream! The icing was vanilla butter-cream. I was wonderfully assisted in making the cake by my darling Husbitect. My beautiful Mum had a lovely day filled with sunshine, gifts and yummy food. Not to mention much love! What did you do for Mother’s Day if you celebrated it, if not, how did you spend your Sunday? 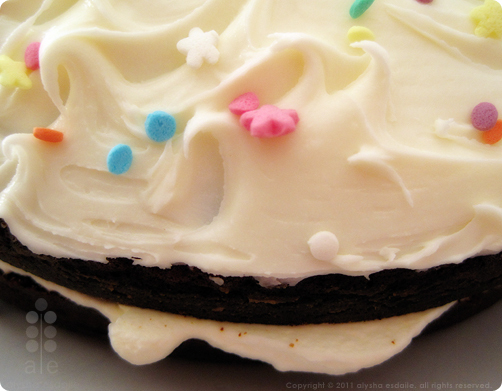 Posting my photo of the cake I made, I started thinking about the history of cake. Where did cake first come from? What traditions are there surrounding the partaking of cake? Apparently, the word ‘cake’ traces back to the 13th century. The word ‘cake’ comes from the Norse word ‘kaka’. Food Timeline has these, and many more facts, about cake and other foods. I wish I could find a course locally, that would enable me to become a food historian. I find food an endlessly fascinating topic. What do people eat and why? How has food influenced the course of history? What customs do the many cultures around the world have with food? I also love it when authors detail what their fictitious characters eat. One of my favourite authors in that regard is Joanne Harris. Especially her food-titled novels, ‘Chocolat‘, ‘Five Quarters of the Orange‘ and ‘Blackberry Wine‘. There are many non-fiction books that are on my must-read list too. These include ‘Salt: A World History‘ and ‘Cod: A Biography of the Fish that Changed the World” both by Mark Kurlansky. Humm, after visiting Mr. Kurlansky’s website, I now have many, many more books on my want/must-read list! Do you like reading about food? Do you, like me and many others, read Nigella Lawson’s beautifully descriptive cook books as if they were novels? My other dream career is one deep within the world of antiques. But that is a story for another time! Meet the new additions to our family! Your cake loos so lovely, the decorations are perfect!! I’ watching The Adventure of English and it is amazing where all the words originated from. There is a dearth of possible courses in most things that are interesting I think.